Ahead of visit to Israel, PA tells VP Mike Pence he is 'unwelcome in Palestine' after Trump recognizes Jerusalem as Israel's capital. The Palestinian Authority announced Thursday that Vice President Mike Pence would not be welcomed during his visit to Israel later this month, following President Donald Trump’s announcement Wednesday recognizing Jerusalem as the capital of Israel and ordering the relocation of the US embassy from Tel Aviv to Jerusalem. On Wednesday, President Trump broke with decades-old American policy by formally recognizing Jerusalem as Israel’s capital city, and declaring his intentions to move the US embassy to the Israeli capital. The move drew criticism from European allies and threats from across the Middle East. The Palestinian Authority claimed that the embassy move marked the “end of the peace process”, claiming the US could no longer serve as a fair broker in a potential final status agreement. On Thursday, a senior PA official announced that representatives of the Trump administration, including Vice President Pence, would not be welcomed. 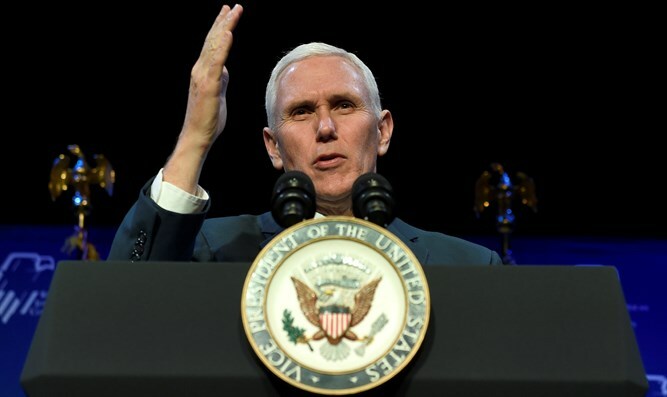 Vice President Pence is expected to visit Israel from December 17th to the 19th, and had been scheduled to meet with both Israeli and PA leaders. Pence is also expected to address the Knesset, making him the first senior US official to do so since President Bush spoke before the Israeli parliament in 2008. The Vice President had planned to meet with PA chief Mahmoud Abbas during the trip, but has apparently been snubbed following Trump’s Wednesday declaration on Jerusalem. Senior Fatah party member Jibril Rajoub said Thursday that the meeting would not take place, saying that Pence “is unwelcome in Palestine”. “In the name of Fatah I say that we will not welcome Trump’s deputy in the Palestinian Territories. He asked to meet (Abbas) on the 19th of this month in Bethlehem, such a meeting will not take place,” Reuters reported Rajoub as saying.